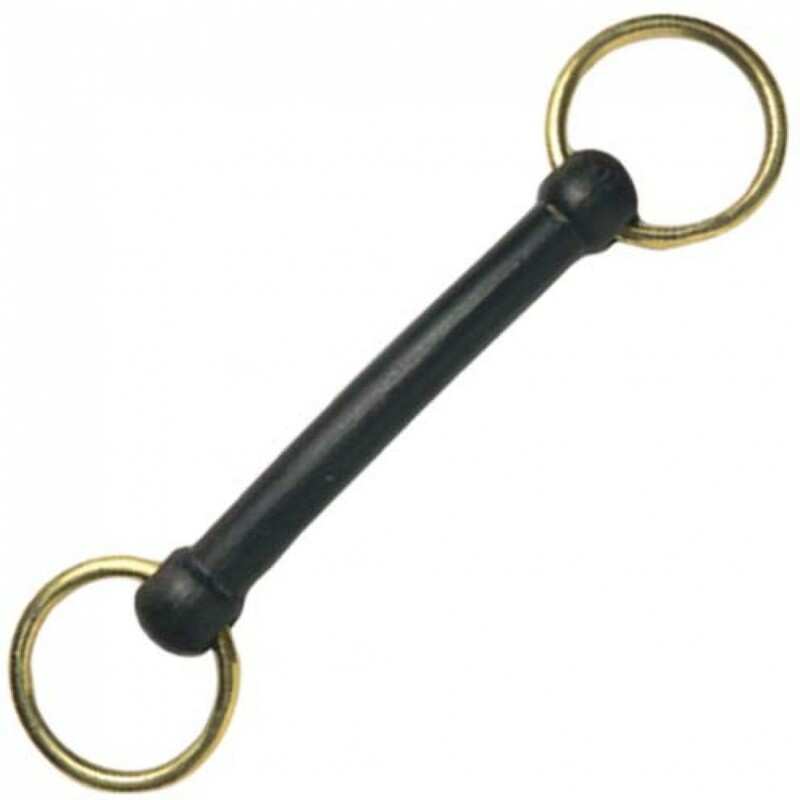 Korsteel's Mullen Mouth Snaffle with brass rings is a very popular bit, which is mainly seen on ponies. The nylon mouthpiece enourages bit acceptance as it is warmer than stainless steel, but does not taste as strong as rubber. It has a steel core running through the mouthpiece, so the bit will not snap under pressure, however the nylon should be checked before every use for sharp edges that could be caused by chewing. This Mullen Mouth Snaffle's main action is on the bars of the mouth and the horse's tongue, however it is extremely mild and is a perfect first mouthing and ridden bit. The loose ring cheeks encourage the horse to relax their jaw, as they can move the bit up and down in their mouth with their tongue. 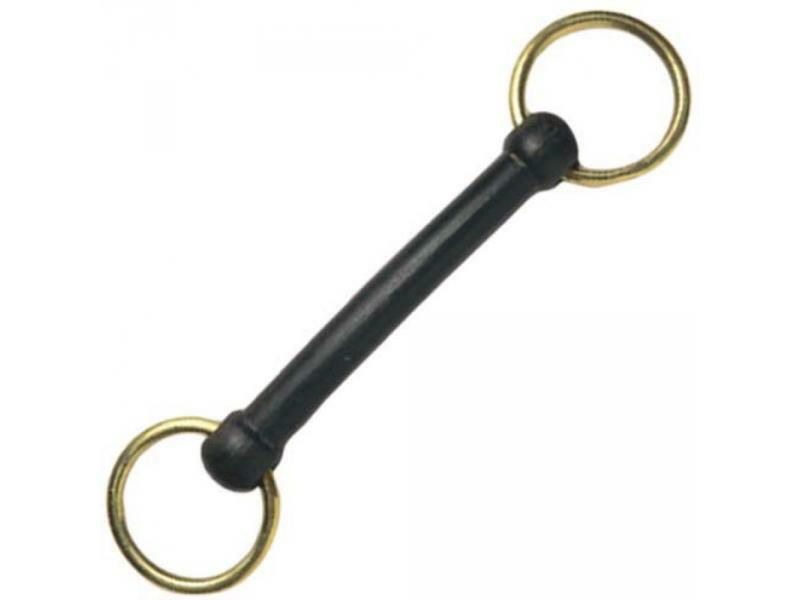 There are currently no questions for Korsteel Nylon Brass Mullen Mouth Loose Ring Snaffle - be the first to ask one!